New pictures - 06/07/01 (Filter & leleupi). 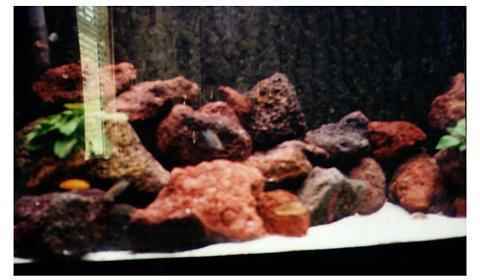 Tank Details: Juwel Vision 260L (Approx 57 Imp gall). 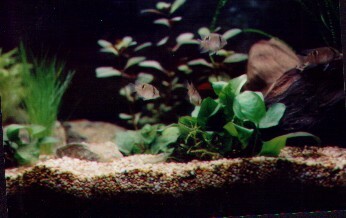 The Fish: 3 Neolamprologus leleupi, 3 Julidochromis ornatus, 2 Altolamprologus calvus, 1 Altolamprologus compressiceps. 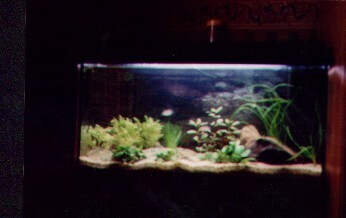 Comments: The tank is decorated using Lava rock, Coral Sand and 2 Anubias Barteri Var Nana. 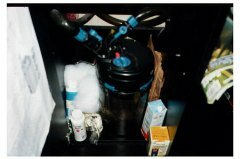 It is filtered using the Juwel standard internal and a Interpet prime 20 external, and the lights are on for 6 hrs a day (any longer and algae becomes a problem). 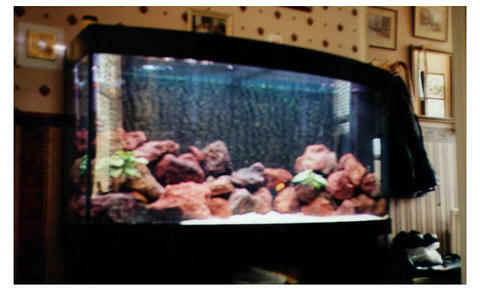 Tank Details: Juwel Rekord 96L. The Fish: 5 Keyhole cichlids.